Toyota Material Handling USA, Inc.
Jeff Rufener is president of Toyota Material Handling, U.S.A., Inc. (TMHU), supplier of the number one selling forklift brand in North America since 2002. He is responsible for all operations at TMHU. 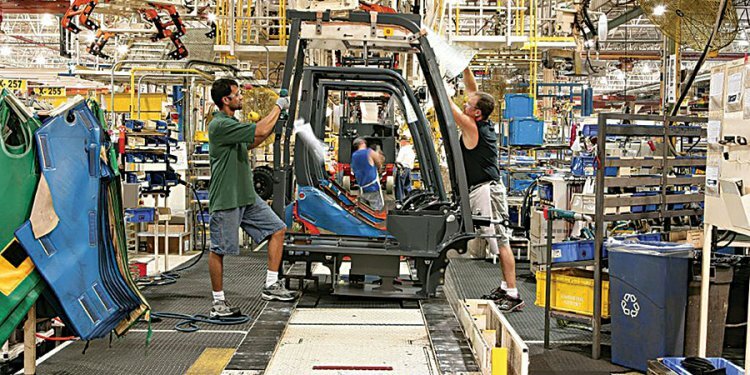 Proudly manufactured in the United States, Toyota offers a full line of material handling solutions including forklifts, automated guided vehicles and fleet management services. Toyota’s commitment to quality, reliability and customer satisfaction, the hallmark of the Toyota Production System, extends throughout more than 220 locations in North America. Rufener has more than 30 years of experience in the material handling industry. He began his career at Caterpillar Inc. in 1978, where he held a number of positions in sales and product support, including several years in regional sales positions supporting the dealer network. In 1992, Rufener joined Mitsubishi Caterpillar Forklift America Inc. (MCFA). He served in many key executive positions at MCFA with responsibility for sales, marketing, national accounts, fleet management, dealer development and technical services for North and South America. Rufener is a respected leader in the material handling industry. He has served as a board member, executive committee member and president for the Industrial Truck Association.